Monitoring media and identifying opportunities for our clients. Issuing press releases and undertaking media-follow-up calls. Developing basic press releases, press notices and photocall notices. Booking and liaising with venues; organising room set-up, sign-in areas, name-places and backdrops. General assistance in executing events. Undertaking administrative roles associated with client work (including developing and maintaining mailing lists; issuing invitations and other mail on behalf of clients). Keeping records of events, including client meetings. Assisting with developing websites and other online communications tools for our clients. 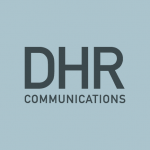 DHR Communications will provide an allowance to cover travel and subsistence expenses. The hours of work will be 9am to 5.30pm, Monday to Friday. Participants in our internship programme can avail of mentoring and training from other members of the DHR Communications team, and are assigned a designated supervisor / mentor for the duration of their engagement. Interested applicants should be available to commence their work placement with DHR Communications at the beginning of February 2011. If you are interested in working as an intern with DHR Communications, please email a CV and a cover letter, outlining your previous experience and suitability for the position, to media@dhr.ie by close of business on Friday, 21st January. For further information, contact DHR Communications on 01-4885808.